The Malaysian Economy - Are We Getting Back on Track ? The Centre for Islamic Economics (CIE), KENMS, cordially invite you to our Special Talk by DR. MUHAMMED ABDUL KHALID. 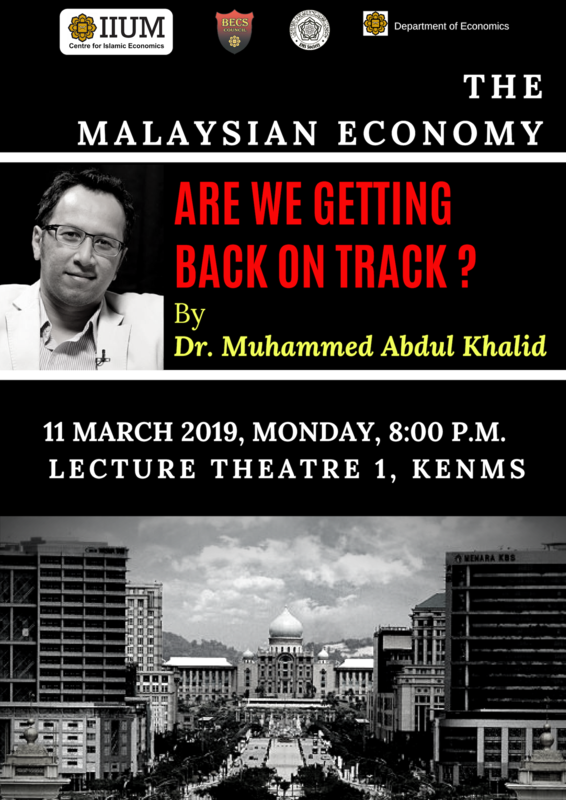 Topic : The Malaysian Economy - Are We Getting Back on Track ?